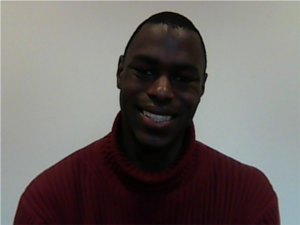 The Winter 2012 Charles Shafaé Scholarship winner, Devon Douglas-Bowers, is a second-semester junior at Fairleigh Dickinson University in New Jersey who is completing the requirements for a Bachelor of Science in Political Science. With a cumulative GPA to date of 3.34, Devon has worked hard to stay on the Dean’s List every semester since the spring of 2010. Between studying and writing in his spare time, Devon is currently involved on his school campus as an active member of the Legal Society and has held an official position as secretary of the Animation Club since 2011. Devon was also a member of the Student Volunteer Association from 2010 to 2011. In February of this year, Devon participated in a discussion panel debating the topic of post-racism in the media. Additionally, earlier this year, the renowned www.foreignpolicyjournal.com published his article related to foreign policy on its website. Because Devon is passionate about writing and pursuing his interest in foreign policy, he would like to conduct governmental research for the U.S. Department of State after graduation. He also aspires to undertake graduate research in international relations after obtaining a few years of professional experience. Devon’s most inspirational role model, Tavis Smiley, has influenced him to explore a career in political science, as he feels that “Mr. Smiley works for the betterment of society and explores topics that are not often spoken of.” Devon is honored to be the recipient of the Winter 2012 Charles Shafaé Scholarship and is confident that it will assist him in furthering his college education. Papercheck would like to thank all of those who submitted essays in the Papercheck semi-annual Charles Shafaé Scholarship. We received more than three dozen submissions. All applicants should be proud of their academic accomplishments and achievements. Thank you for sharing your goals and dreams with us. Please come back and visit Papercheck in the future. Hello! Thank you for the excellent turnaround time on this project. Papercheck.com, you are amazing. Blessings!